The Imperial Guild of Miners serves the Eternal Empire of Koth by harvesting useful and rare materials from the Urth, including underurth and turning them into useful items for its citizens. 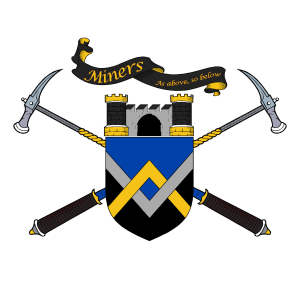 The guild runs mines, smithies and quarries. They are responsible for paving roads, digging ktholes and constructing all manner of works of stone and metal for the Empire, other guilds and citizens. In many places throughout the Eternal Empire, one has but to open their eyes to see the wondrous works of the Imperial Miners. The guild serves to protect the citizens of the empire from the creatures and forces from underurth, including the fabled Eyes of the Deep. Imperial Miners teach the skills of harvesting, crafting and identifying materials born of Urth and throughout the empire. The Master of Claims is the appointed leader of the Guild in the territory who oversees the registration and enforcement of claims including issuing Miners Marks. The Master of Arms is the appointed leader of the Guild in the territory who oversees the crafting of weapons and armor of all types. The Master of Arms is also responsible for maintaining the armories for the Guild, the Imperial Legions and other local forces. The Master of Metal is the appointed leader of the Guild in the territory who oversees the smelting and processing of all things metal, from simple iron to precious gold to rare adamant. The Master of Stone is the appointed leader of the Guild in the territory who oversees the cutting of all things stone, from common stone to valuable gems to strange mana crystals. The Master of Stone is also responsible for creating and planning the layout of mines. The Master of the Deep is the head of the Order of the Deep within the territory. This position makes him an officer in the Imperial Legions, typically a Lieutenant. Sentries who have demonstrated proficiency and loyalty advance to Deep Guard. Deep Guards who show expertise and leadership may be granted the title of Delvest. 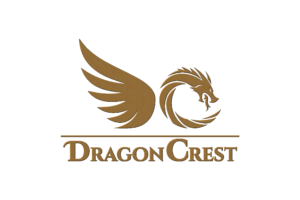 Delvest who master their craft and display unswerving dedication may be granted one of the special titles of Deepmaster or Deepmistress. A traveling guild member who is not attached to a specific guild hall. A prospector travels the land seeking new claims for himself and the Guild. A member of the guild who manufactures items of metal or stone for the citizens of Koth. Many smiths simply make everyday items like nails and tools. Why join the Imperial Guild of Miners? You like working with your hands and are not afraid of a good honest hard day’s work. You seek to explore the underurth, the deepurth and all of its wonders. You take pride in crafting things that will last long after you are gone. You want people to respect your works. You know how to buckle down and get the job done, no matter what. Whispers about the Imperial Guild of Miners? They keep the best materials, weapons and armor for themselves. No one can protect us from the Eyes of the Deep but the Kothites themselves. Aren’t they the ones responsible for Maximillian I and Amertus II and Maximillian III? The dig too deep and expose us all to the risks. Sure they fight against those threats, but how many of them would never have come to the surface if the Miners didn’t show them the way? Some say that the Miners have secret ways into and out of every place they build or excavate. Is you wall, city or home really secure? What about all of the things they take out of the ground that make us sick. I’ve heard of stones that change people, crystals that make people see things that aren’t there and the Tin Plague? The Mistress of the Guild is a mysterious nulvari, originally from Uurathyr in the Hidden Province under Khalyn on the northeastern shores of Koth. The Guildmistress served as both Mistress of Stone and the Deep under her mother, Councilor Malina Priyar at the Deep Arch. 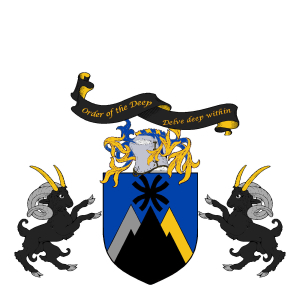 Her expertise in all things of the Deep is respected by the Emperor himself, who recommended her to Governor Henrick Volen when the Colony of Dupree was established. In her tenure as Guildmistress of the Colony of Dupree, she has unearthed more mana gems and rare Urth than has be seen since the establishment of the colonies in Pan Orda. A warrior born, Guildmistress Priyar also has an acquaintance with the magics of Stone and brought a small kirin calvary from Koth with her. Master Gordun Shale is a kindred terrakin originally from the northern region of Kel. Master Shale is a powerful stone caster and mason who learned his art from the children of the mountains of Groenn’s Rest. In honor of his dwarven blood from his mother’s side, he wears his bountiful dark grey hair long along with his full dark grey beard. His adorns himself with polished stone rings on his hands, forearms and head. He is reknown for his skill in planning and executing mines in the most difficult terrains of Koth, including the deeps of the Vast beneath the Violet Peaks of western Koth. One might think that Master Shale and Guildmistress Priyar would be at odds but nothing could be further from the truth as the kindred is one of the Guildmistress’ most trusted advisors. Gordun is most often found in the Halls of Deeprung in the Labrynth Hills out of Ardell in the western edges of the Valelands where he studies the ancient ktholes found there. Khuun Harrenhorn is a mighty terrath ogrekin from the delves of Karnok in Einnen’s Edge, a massive rift in the urth east of the Violet Peaks in Koth. There urthen adamant blades grate against each other constantly clashing in an endless battle. One of the most prolific mines and richest deposits of ore in the Empire, Deepmaster Khuun fought the unbroken errock raiders and the terrors of Tal’shal’loth defending the miners of the edge as he rose from an indentured slave of the guild, to the First Edge of the Rift before being selected for duty in Haelos. Deepmaster Harrenhorn does not carry an ancestral warstar as one might expect an ogre of his station to wield. Instead he wields a massive hammer made in the shape of his ramlike horns with a pick on the opposite side. His armor is a purported to be a gift from his former cohort, blazoned with his horns. Khuun regularly wrestles and it is considered an honor to be asked for another match from this goliath. The Deepmaster also tests himself through wingwalking. He claims to have traveled across all of the Wings of Haelos. He has no love of paxans, especially those of Medea.